This was one of my all time favorite tomatoes (rating 9/10). The flesh is dark and multi-colored, flavors are complex, yet sweet, medium gel and tender flesh. Nearly no blossom scar, the stem anchor is shallow, almost non-existent, the skin is blemish free on most, and no cracking…except when there was some inconsistent watering. The vine has grown over 12 feet, and is still happily growing and making flowers in late December. 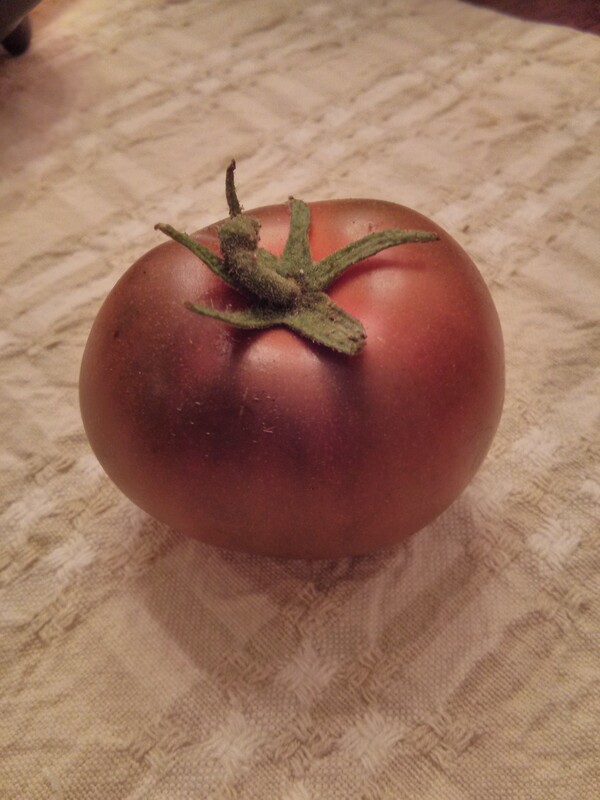 It’s a true cold weather tolerant tomato from Siberia. 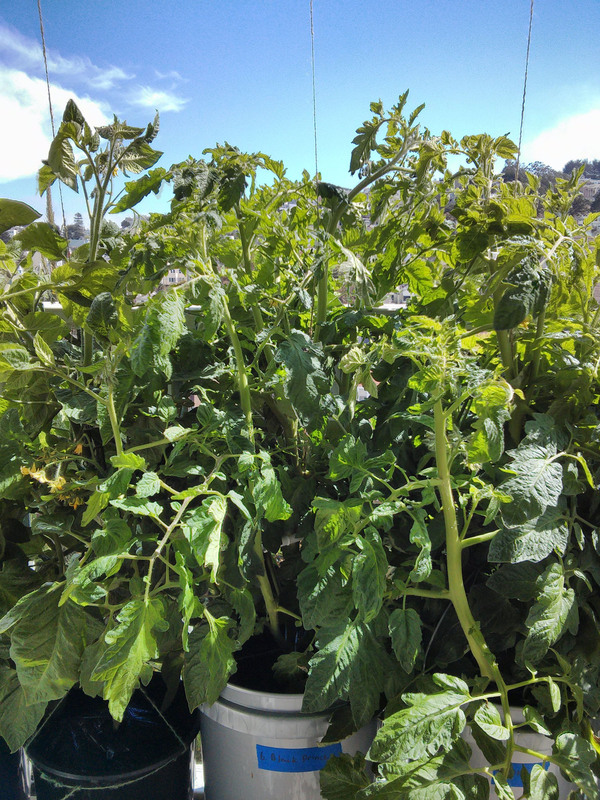 Tomatofest.com states this plant is “perfect for patios”. While it grew great on the patio, it’s propensity to reach for the sky makes me disagree with their take.